Andy and Chris have wowed our clients with some really inspiring design solutions this summer. The projects have been varied with both undertaking print and digital design work. 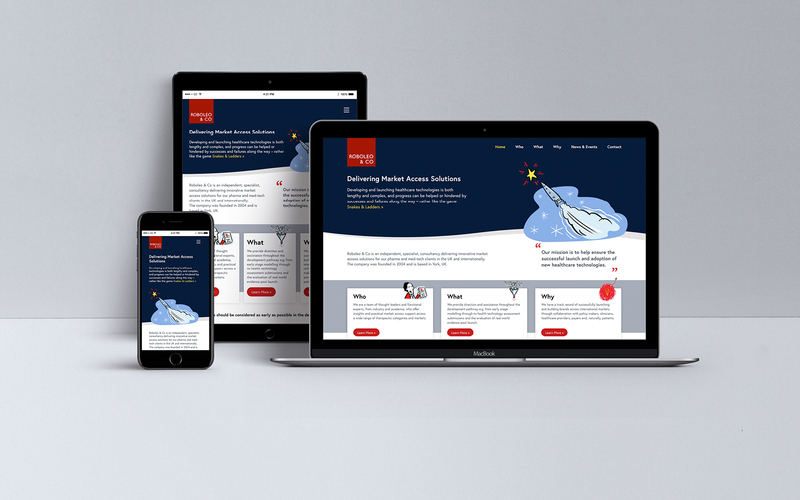 A brand new responsive website really impressed Roboleo & Co. It brings them up to date with modern technological standards and provides a professional new front as they deliver innovative solutions to Pharmaceutical and Healthcare clients. The slick new website has seen an increase in traffic, due to our site-wide search engine optimisation. 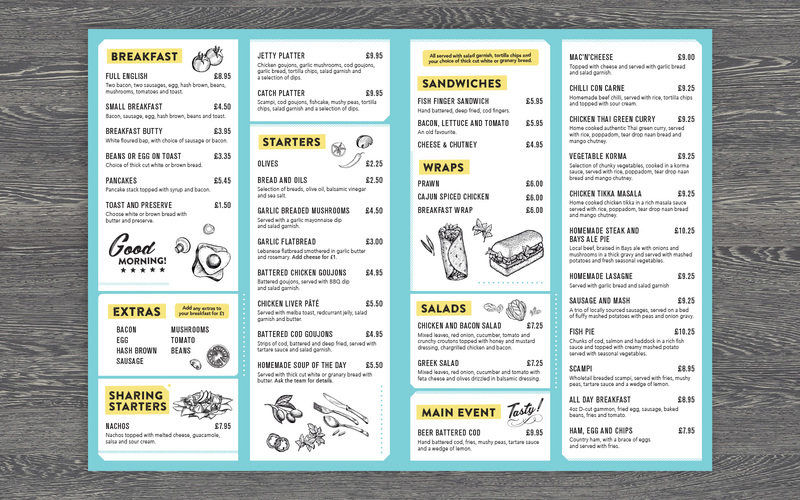 We completed the guest experience at the fabulous new Jetty restaurant, Beverley Park, by designing three fantastic new menus which beautifully showcase the range of food offers. The considered use of typography and illustration create a solid balance of playfulness and sophistication and are perfectly suited for this family-friendly holiday park. The new space has seen a significant increase in customer spend since the re-opening. 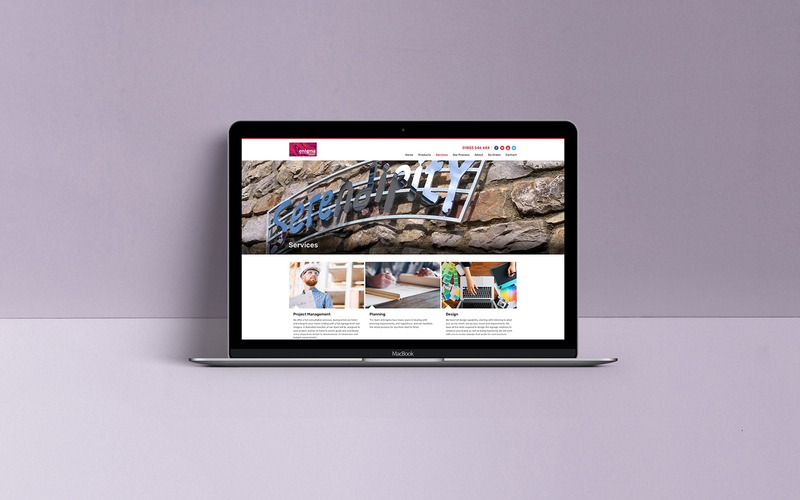 Greatly improving their online presence, we designed an built a responsive website for Enigma Signs. The new site brings the signage company in-line with modern standards and boasts a striking new homepage. Customers have commented on the ease of navigation with traffic to the website also seeing a great improvement, again thanks to our search engine optimisation solutions. Heavily weigh paper and a pattern-wrapped spine gives Weaver Green’s new product brochure a memorable and eye-catching new look. The forty-page product brochure features clean layouts, stunning imagery and custom illustrations. 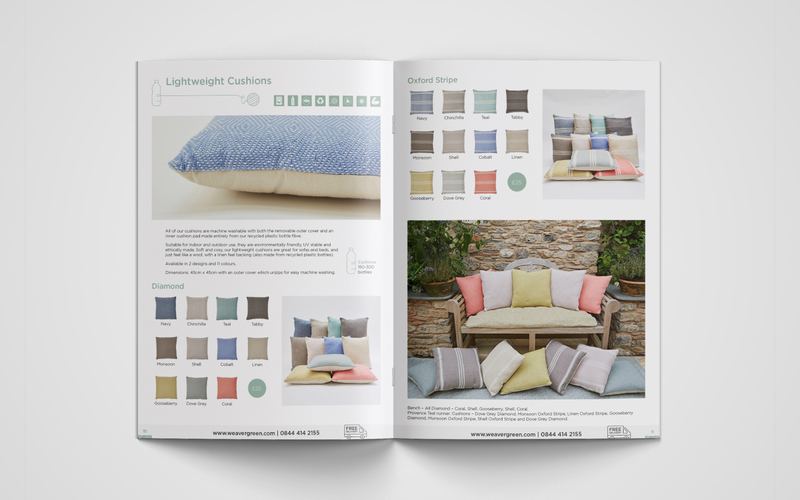 Creators of textiles made from recycled plastic bottles, the brochures complement the soft and elegant style of their products. Do you need help with a print or digital design project? Emailing the studio directly on studio@fruition-design.co.uk or calling us 01803 295 959.